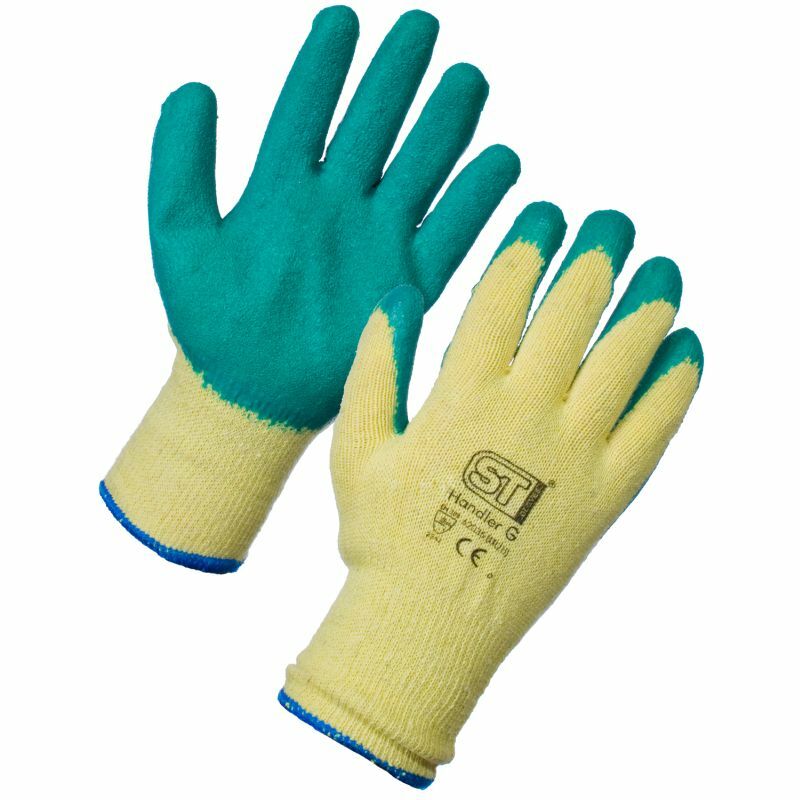 Reliable and comfortable general-purpose construction gloves, the Supertouch Handler Gloves 6203/6204 feature a latex palm coating for superior grip of rough materials. In combination with a breathable back, this results in a glove that is perfect for all-day use on the job site. With this purchase, you can buy the Supertouch Handler Gloves 6203/6204 in a case of 120 pairs at a discounted price. If you are interested in buying the Handler Gloves as a single pair, please see the standard listing. 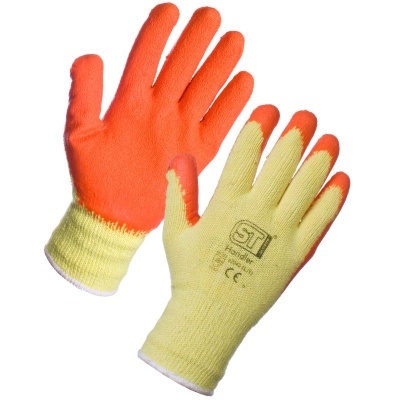 The Supertouch Handler Gloves are available in five different sizes, making them suitable for most users. Please measure the circumference of your hand around the knuckles (excluding the thumb) with your hand open and your fingers together, and the length of your hand from the tip of your middle finger to your wrist.